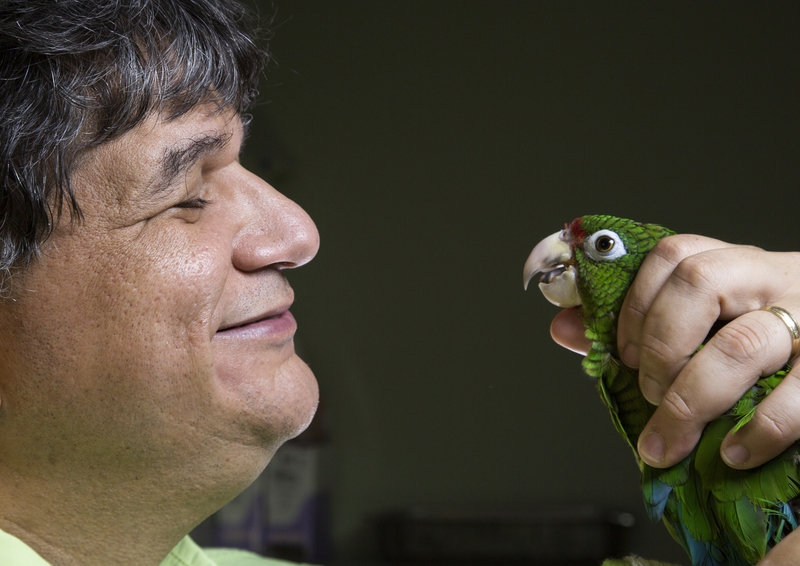 Wildlife biologist Jafet Vélez-Valentín has devoted his entire career to saving the dwindling population of Puerto Rican Amazon parrots. His work is featured in NATURE: VIVA PUERTO RICO. Photo courtesy George Woodcock/©BBC/ Windfall Films. It’s obvious that wildlife biologist Jafet Vélez-Valentín loves his birds. With a smile from ear to ear, he recaps his life’s work at the helm of the remotely situated Puerto Rican Parrot Recovery Program and oversees the release of the latest and largest flock of healthy Puerto Rican Amazon parrots into El Yunque National Forest. Carefully mated, born and raised in captivity under Vélez-Valentín’s watchful eye until they are deemed able to survive and breed in the wild, the flock of 24 is an important addition to the Puerto Rican Amazon population that had dwindled in recent years to 13 individuals. Carlos Diez catches a critically endangered Hawksbill turtle to gather data for its conservation in NATURE: VIVA PUERTO RICO. Photo courtesy George Woodcock/©BBC/ Windfall Films. 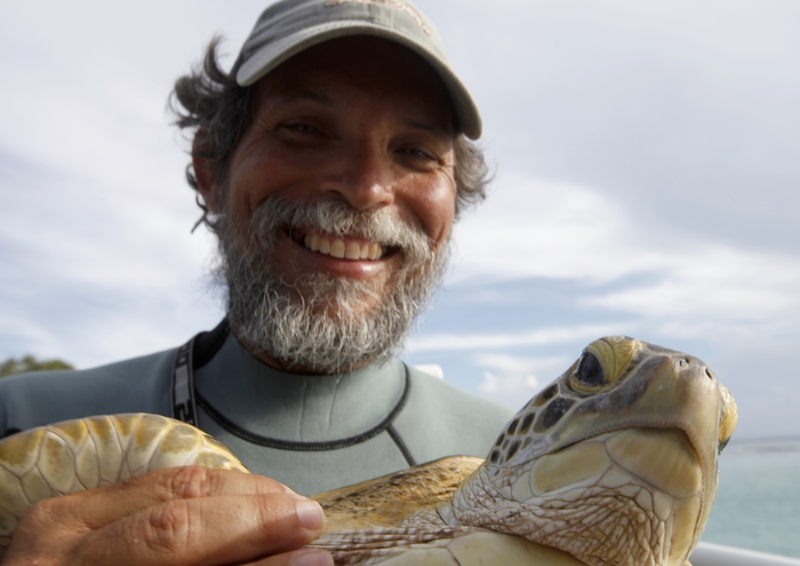 World-renowned turtle conservationist Carlos Diez focuses his firepower on efforts to save endangered Hawksbill turtles from being poached for their shells and the breeding habitats of Leatherback turtles from annihilation by developers. Beautiful close-up footage of nesting and hatchling rituals underscores the potential threat to the species if commercial development at sites like Dorado Beach is approved. Diez and his professional team are aided in their mission by locals, including school children, who testify to preserve the pristine beach for the turtles. 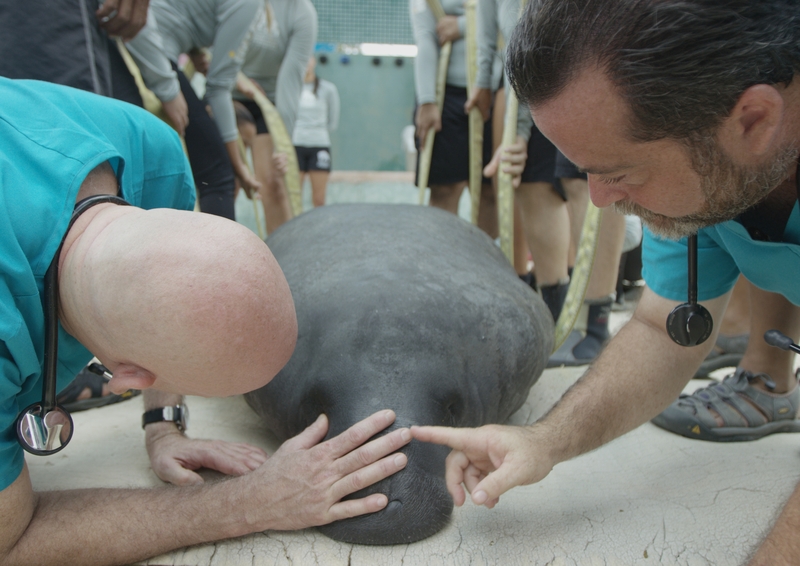 Dr. Antonio “Tony” Mignucci and a veterinarian inspect a rescued manatee in NATURE: VIVA PUERTO RICO on PBS. Photo courtesy George Woodcock/©BBC/Windfall Films. 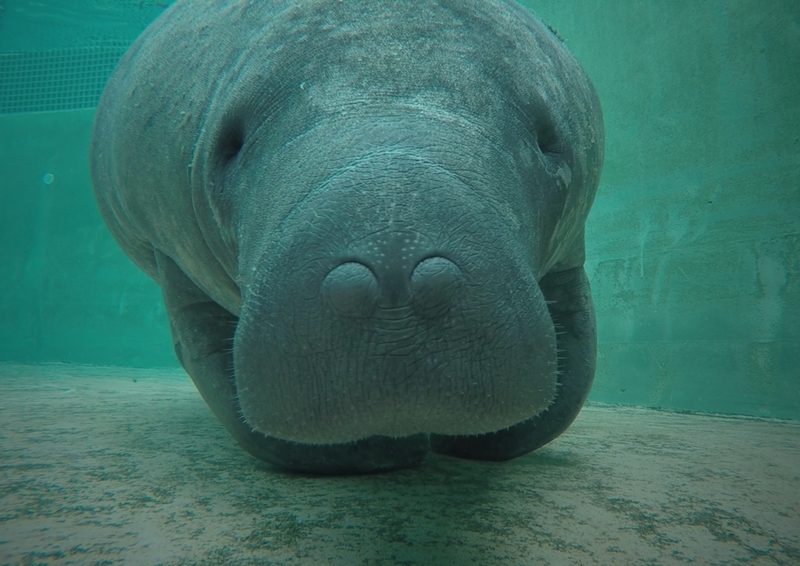 The film also takes a fascinating look behind-the-scenes at the Manatee Conservation Center where injured and orphaned members of the manatee population unique to Puerto Rican waterways are rehabilitated and eventually returned to the wild. The backstories of several manatee residents are recalled and, under the nurturing care of Dr. Antonio (“Tony”) Mignucci, his staff and a team of dedicated volunteers, two rescues–a male and female–are prepped for release after their carefully monitored and restorative rehab. Viva Puerto Rico is a refreshing and timely introduction to three articulate environmental champions, their dedicated colleagues and volunteers who not only talk the talk but walk the walk in their efforts to rebuild endangered wildlife colonies of parrots, turtles, frogs, birds and manatees native to Puerto Rico and protect and restore the viability of their home turf. The film, narrated by actor Jimmy Smits, shows by example that the combined efforts of professional and citizen involvement can turn the tide and block commercial over-development that not only threatens harm to wildlife via pollution and pleasure craft, e.g., jet skis, but also, in the long-term, decimates the breeding grounds and food supplies of dwindling wildlife populations. Who can resist the face of this baby Puerto Rican manatee, orphaned and recovering in its rehabilitation pool at the Manatee Conservation Center. Photo courtesy George Woodcock/©BBC/Windfall Films. As Earth Day (Saturday, April 22, 2017) approaches in the wake of our new administration’s mindless plans to unravel environmental protections that have taken decades to implement, it is imperative to celebrate the work of conservationists like Jafet Vélez-Valentín, Carlos Diez and Dr. Tony Mignucci, and to follow their lead. This entry was posted in TV and tagged Animals, Carlos Diez, Conservation, Dr. Antonio Mignucci, Earth Day, Jafet Velez-Valentin, Jimmy Smits, Manatee Conservation Center, NATURE, Puerto Rican Parrot Recovery Program, Viva Puerto Rico. Bookmark the permalink.